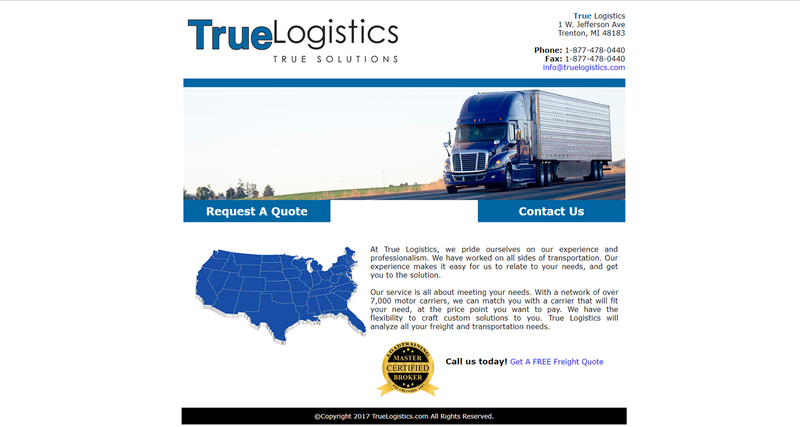 This is a website I created for a freight broker and logistics company named True Logistics. The screenshot below is what the website looked like before. 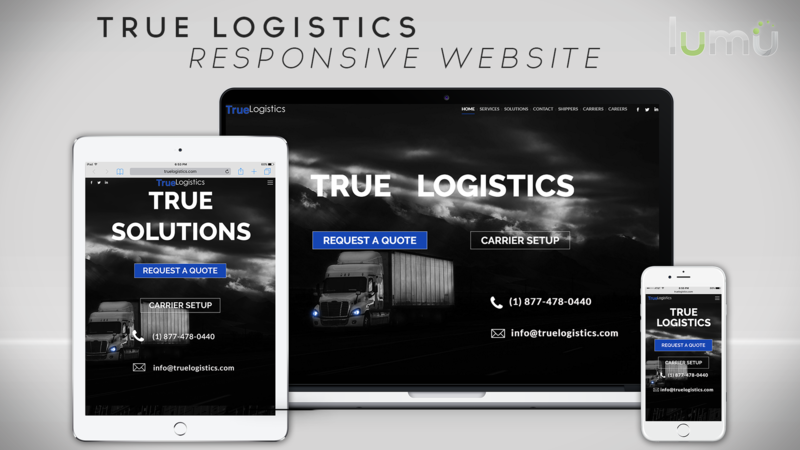 True Logistics was not satisfied with how the original design was, so I recreated an entire WordPress website. The website is responsive, contains crucial contact forms which are automatically sent to their e-mail folders, linked with all their social media platforms, and more. Check out the website at truelogistics.com and be sure to contact them if you are interested in their incredible services!